Edge of Tomorrow was an underappreciated action-movie classic, and we’re dying for the planned sequel. But for now, director Doug Liman and star Tom Cruise are working on something else: The pair could team up for a moon-based adventure called Luna Park. Variety reports the movie, which “revolves around a group of renegade employees who venture to the moon to steal an energy source,” is something Liman has been working on for a while. He had Chris Evans and Andrew Garfield in talks at certain points, as well as a greenlight from Paramount, but when the budget started to skyrocket in 2011, they shut the movie down. Cruise’s interest—which is dependent on a new draft of the script—could breathe new life into the project. The actor will produce and develop, and if that new script (which has already been worked on by the writers of Black Hawk Down, I Love You Man and X-Men Days of Future Past) is solid, he may star as well. 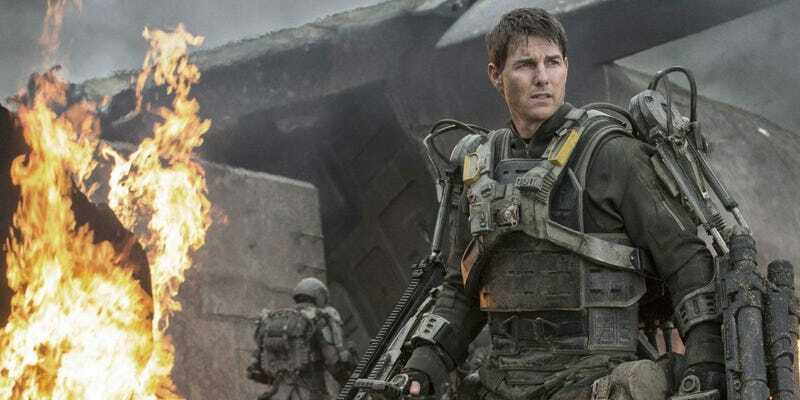 After doing Edge of Tomorrow together, Cruise reteamed with Liman for a drug film called Mena which will be out early next year. And while there’s been talk of an Edge of Tomorrow sequel, Cruise first has to shoot Jack Reacher 2 and Mission: Impossible 6, so who knows when either Luna Park or a second Edge could even happen.